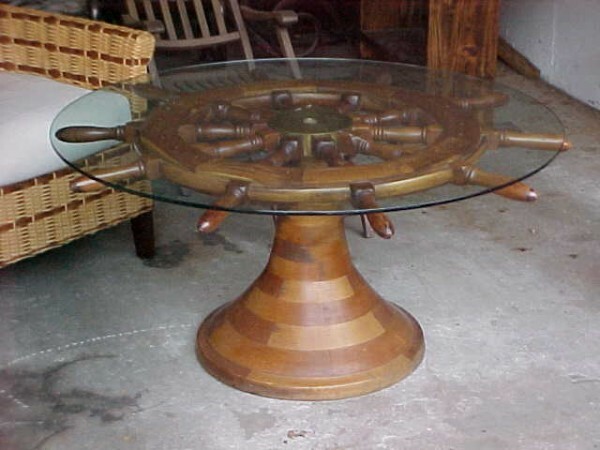 Antique ships wheel sitting on a nicely designed base as a coffee table. Wheel comes off base for easy cleaning. 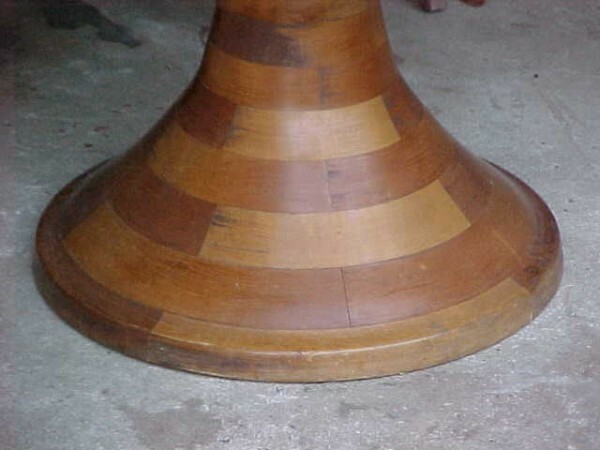 Measures 23″ high by 48″ diameter. Original condition. 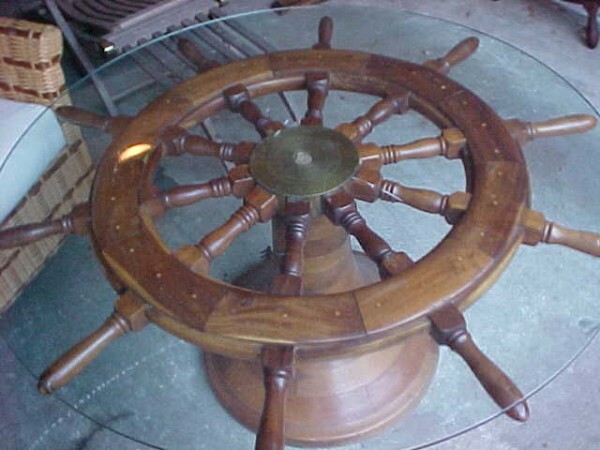 Nice decorative piece for any room in the house……….